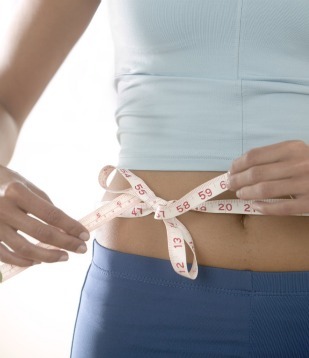 Tips to Lose Weight blends fast tricks with sensible newly acquired habits to keep weight off. It's absolutely wonderful that tips and little known secrets can help you lose weight. But shining weight-loss tips won’t replace the work entailed to lose weight and keep the weight off your body permanently. you should condition your mind and body for the new lifestyle." Whether you admit it or not when you embark on a new diet plan to lose weight, you are in essences altering your way of life. The problems arise when you’re not ready for a real change. Since nothing permanent has taken place the old habits rise up from under rocks and all that good intended weight loss lifestyle gets "Blowin' in the wind." Anybody here old enough to remember "Bob Dylan" the writer of that song? Therefore, with the best tips to lose weight you'll receive from me are meant to assist you in losing weight fast, of course, but also in a full 180. Whereby, you use them for mastering the real change that leaves you wanting only to eat at mealtime. And then only enough food to satisfy your hunger. And always stop eating before you become full. That is the only way of losing weight that makes sense. Otherwise you are heavy into yo-yo dieting. I’ll give you a tip I have used in my losing weight efforts, "always stay hydrated." How water assists dropping pounds, culminates in diverting food intake by drinking water. It tends to quell hunger. Say for example you have a half hour to go before lunch and the hunger pangs actually hurt, get out your water bottle and drink at least 20 ounces. Water also flushes fat from your body, and ironically releases water trapped in the body. The benefits of H2O are endless. If you want youthful skin into your 80’s drink 90 or more ounces of water daily. Make sure the water you put into your body has been filtered. Water cleanses the liver and kidneys on a daily basis. A natural blood thinner, you won’t be suffering from blood clots, except in genetic cases where circumstances relate to a family history. "ANNA," my daughter has gone from a "size 16 to a size 10,"
using the diet with menu and recipes I have devised for her. her taking off over 20 lbs. The bottom picture was taken 2 years ago when she wore a size 16 jeans. stemming from her weight being to high. The first suggestions I made to hers was, change jobs get off your feet. weight loss exercises, as well. Chew gum and drink tea (herbal teas) The gum, as you chew. You swallow amylase causing the acid in your stomach to burn food faster and setting your metabolism at a higher rate. Burning fat quicker and enabling sequential calories to be burned faster as well. In principle Tips to Lose Weight like chewing gum gets foods digested faster because amylase a stomach enzyme that breaks down sugars and starches continues to work as you chew gum. Mastication (chewing) signals the stomach to digest. The process keeps repeating while you enjoy your gum. The fact is: chewing gum makes your digestion process move faster and that means burning calories faster!! Tea helps the digestion continue. While solid food is no longer in the stomach the tea keep the body working on digesting stored calories in the form of fat. Tea has very few calories so weight loss is assisted. Fat is removed quickly out of the body. You will get the oldest and the newest Tips to Lose Weight! Remember to white list us so our emails directed to you don't become trapped in spam.